Build A Burger. 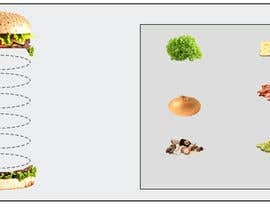 Write a jQuery/Css script where the user can select images to build a burger. The burger will start with a bun and meat on top of the bun. The user will click on all the extras for their burger to build. The end result should be the burger with all the extras on it. see [login to view URL] as an example. I want the user to click on the item to to add to the burger. #2 Check for website test. Please put your code on a website and give me the link so I can demo your code. If phaser works and the download is small then Yes, do this. The question is, how large is the download to use phaser? Can you make it more specific :: 1. You want same code as this "http://intexpliki.esy.es/Slides/Prepare_Cheese-Burger/story.html". 2. 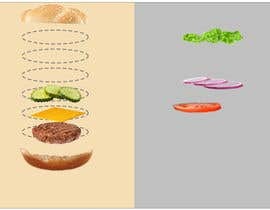 You want to make images(toppings) to get added automatically on right place (inside burger) after clicking. 3. You want to drag any image at any place (inside burger). 1) I do not want the same code. They are using flash. I want jQuery and CSS. 2) No dragging, just click on image and it is placed on top of burger. 3) User should be able to click on image ON burger to remove it. I gave everyone a link to the script. If you know what you are doing it should be very easy.